IVF seems to be an extremely complicated procedure, and sometimes IVF doctors take perverse pleasure in mystifying it, because they like showing off their expertise. This is why IVF patients are often completely confused about what to expect. Actually , it's very straightforward and logical, and if you understand this simple framework , you will be able to make sure your doctor's doing the right stuff for you. Remember that all we are doing in an IVF cycle is replicating what should have happened normally in the fallopian tubes - the only difference is that we are doing this in the test tube ! 1. First is the pre-IVF testing, or the workup. These are simple tests, to make sure whether IVF is the right treatment for you; and what kind of IVF you require ( for example, if this should be IVF or ICSI). (b) blood tests for you for the following reproductive hormones - FSH ( follicle-stimulating hormone),LH ( luteinising hormone),PRL ( prolactin) , AMH ( anti-Mullerian hormone) and TSH ( thyroid stimulating hormone) on Day 3 of your cycle, ( to check the quality of your eggs). (c) A vaginal ultrasound scan on Day 10 or 11 which should check for a. ovarian volume; b. antral follicle count; c. uterus morphology; d. endometrial thickness and texture, to confirm your uterus is normal. If there is a problem, then this can be treated prior to starting IVF! 2. Second is the stage of superovulation , where the doctor gives you hormonal injections in order to help you to grow lots of eggs. The growth of the follicles is monitored using vaginal ultra sound scans and blood estradiol levels. 3. The third step is that of egg collection ( egg retrieval) , where he collects the eggs from your mature follicles, and sends them to the embryologist in the IVF lab, where they are placed in culture medium. 4. 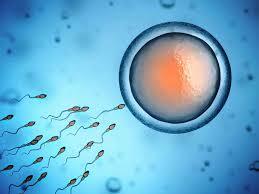 Then comes fertilization, where either using IVF or ICSI, the embryologist adds sperm to the egg. 5. Then is the process of embryo culture, where the embryos are grown in the IVF laboratory in the incubator, so they divide and grow , till they form blastocysts. 6. This is followed by embryo transfer, where the embryos are put back in the uterus with the hope that they will implant. 7. The final step is that of cryopreservation (freezing for storage) where the extra embryos can be frozen in liquid nitrogen , so that they can be used for future attempts. This ensures nothing is wasted or thrown away. Once you understand this framework, you will know exactly what your doctor is doing - and why ! Please make sure that your doctor follows all these steps , so that you know that you're getting the best possible medical care. You can't afford to leave everything up to a doctor, especially in this day and age , where there are so many new IVF clinics cropping up all the time . They are run by inexperienced doctors , and managed by their assistants, most of whom don't have a clue as to what is happening ! As an enlightened patient, you need to take charge !